Todd DeStigter is a former high school English, social studies, and Spanish teacher who now teaches courses on methods of teaching English and the intersection of literacy, politics, and culture. His principal interests are English teacher education, urban literacies, and the potential of reading and writing to promote democracy, variously defined. 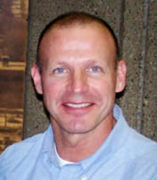 Todd has published several book chapters and articles in journals that include English Education, the English Journal, and Research In The Teaching Of English. His book, Reflections of a Citizen Teacher: Literacy, Democracy, and the Forgotten Students of Addison High (Teaches College/NCTE, 2001) was awarded the Richard A. Meade Award for outstanding research and scholarship in English education. Todd’s current book project, Teaching in the Shadows of Pragmatism: Urban Literacies on the Spectrum of Politics, is based on ethnographic research in a Chicago public high school and explores the range of political subjectivities represented in the American pragmatist tradition. He has also been the recipient of UIC's Award For Excellence in Teaching and is currently serving his second term on the Executive Committee of the Conference on English Education.